Hit musical comedy from Flight of the Conchords are coming to the SSE Hydro in March 2018. The pair flew to fame on the back of their hit HBO comedy show which saw the New Zealand pair transplanted to NYC with disastrous comedic consequences. Since then the pair of Jermaine Clement and Bret McKenzie have been acting and writing material for other films and TV including the Muppets. 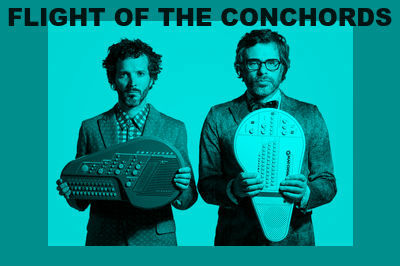 Flight of the Conchords play Glasgow on Monday 26 March 2018 and tickets go on general sale from Friday 27 October.